For more than two decades CADPRO Systems has consistently invested in providing our clients with the best technical and back office teams available. As a result CADPRO’s biggest asset is the people who work here. The team provides a cross-section of skills from multiple disciplines, translating into a dynamic and innovative resource for the New Zealand design industry. There is over 150 years’ worth of experience in this team! Neil says one of the best thing about working for CADPRO is the exposure to the Autodesk products. He is passionate about design, documentation and visualisation and having access to multiple products enables him to learn and share the knowledge on a daily basis. Since emigrating from Wales in 1998, Neil has been involved with many small to medium sized manufacturing and fabrication companies in and around Auckland. In that time he has become Husband to a Wonderful Wife, and also a Father to three very energetic children. “My time is split evenly between work and home. Work is challenging, our customers rely on us for quality service delivered professionally in a timely manner. Home is where I spend time with the Family. Our kids are at that age now where their individual personalities are starting to emerge, it’s wonderful, hilarious, terrifying, all at the same time”. He is also a regular contributor to the CADPRO Blog and enjoys getting feedback about the posts published. Gavin emigrated here from South Africa when he was 11 years old, eventually marrying a girl from the deep south (of New Zealand). They now have 2 young children. Outside of work he’s a man of numerous varied passions and interests, and very little idle time. A few that stand out would be; hacking his espresso machine to make a better cup, flying light aircraft as a Private Pilot, and coding in C# and node.js. He also runs the Christchurch Fusion 360 Meetup Group voluntarily, and has spoken at Autodesk University in Las Vegas, several times. Some of these personal projects filter through to blog posts that he writes as an author on the CADPRO Blog as well as Design & Motion, a site dedicated to Digital Prototyping and Manufacturing. Many of Gavin’s hobbies involve design/digital prototyping of some sort, so he thinks having the full range of Autodesk tools available to him is just awesome. In July 2004 Scott was offered a job with Specialist Marine Interiors, based in Whangarei. He was studying a Motorsport Engineering degree in Wales at the time, given the opportunity to join his family in glorious Aotearoa and to work for one of the world’s leading luxury Interior contractors, he naturally jumped at the opportunity. After 10 years gathering manufacturing and software experience within the global marine Industry, Scott joined CADPRO in October 2013. Scott is hugely passionate about Motorsport, specifically Formula One and used to race karts a lot in Europe during his youth. Skiing has also been a large part of his life. Someday Scott hopes to get back to doing more of both sports. Scott and his wonderful wife, Alex, have three children, 2 girls and a boy. Outside of working for CADPRO Scott spends time working on Design & Motion, which he co-owns with his good friend John Evans, based in Florida. Scott loves being able to share his knowledge with the CAD/CAM and machining communities, while learning from others at the same time. While studying Mechanical Engineering in Auckland, Gary was first introduced to a new piece of software called ‘AutoCAD’. A little over 27 years later this may explain his compulsive nature to all things Autodesk – not bad at all if you’re a client of his. Gary is our Senior AEC Technical Specialist who is responsible for managing our BIM Consulting services. He is arguably one of the most advanced users of Autodesk Revit and AutoCAD Architecture within New Zealand. A large part of his profession was spent within the Autodesk reseller channel where he was responsible for delivering technical services to the largest architecture and engineering practices. At CADPRO, Gary deals directly with design teams to help manage training, development and implementation strategies. He is a user too, and understands the culture of the ‘drawing office’ and how to get the best out of both staff and technology. 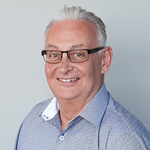 Gary is a strong local advocate for Revit and currently sits on the Auckland Revit User Group committee where he helps network local users together, plus regularly posts to the CADPRO Blog. Elrina has always had a love for buildings and architecture. After studying Interior Design, she worked for a small Architectural firm as a designing drafts-person. She soon realised that she is more of a straight-lines type of person, and made the moved to Structural Engineers. Here she gained most of her industry knowledge. She was the first and only person working on Autodesk Revit, and had to do a bit of in-house training and support. After 6 years industry experience, she joined the Autodesk Channel. She became an Autodesk Certified Instructor (ACI) and completed specialisations in Autodesk Building, Advance Structure as well as Autodesk Process and Power. Elrina is also a Certified Professional in AutoCAD, Autodesk Revit Structure and Revit Architecture. She enjoys being a trainer, presenter, and meeting new people and the challenges they face in their industry. Outside of work, Elrina spends days being a mother to twin girls and wife to a wonderful husband, who happens to be a Civil Engineer. She enjoys the outdoors, reading and making music. Nick was born & brought up in the manufacturing heart of the UK, the Black Country, but ventured out onto the gold-paved streets of London to study for a degree in electronics. A couple of years after graduating he set up an Autodesk VAR with two friends, which kept him gainfully employed for the next 23 years. In 2010 the three of them decided to sell the company, however the new owners decided to move the company offices to be closer to their largest customer. Faced with a 130km/3 hours round trip to work, Nick took the completely-logical-and-not-at-all-ridiculous step of taking a job with a large manufacturer in Auckland, and in 2014, moved to the opposite side of the world, closely followed by his wife Jill, and their two cats. James recently completed his bachelor’s degree in Computer Science at the University of Canterbury and has since joined CADPRO Systems as a Software Developer. 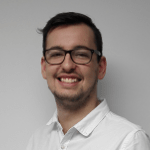 James has always had an interest in technology and its capabilities, and he hopes he can combine his technical skills and passion for working with people well into the future. His main areas of interest within the Computer Science field are web development, networking and security. James has also spent 5 years working in retail, providing him with “A much greater appreciation for the work that retail staff do”. He spends his spare time working on small-scale programming projects, playing video games, spending time with his family and friends, and planning his wedding in February 2019. Joe moved from China in 2014. He graduated from Ara Institute of Canterbury in Information Communication Technology. Apart from this, Joe also loves collaborating with other people as he likes to share experience and keen to learn from other people. Paul’s primary role at CADPRO is managing all the Training which takes place at CADPRO for our clients. His knowledge of products across the Autodesk range is extensive as a result of his day to day interaction with the majority of the products. As an Autodesk Certified Instructor Paul is naturally an integral part of the services CADPRO can offer. Patricia’s primary role at CADPRO is Training Sales & Coordinator. We don’t know what our consultants and trainers would do without Patricia. She manages their resources and the teams busy schedule whilst juggling the students needs during their training courses at CADPRO Systems. Hans is the director, and founder of CADPRO Systems. 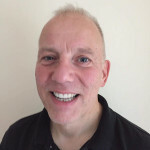 He’s been involved in using, developing, selling and implementing 2D and 3D CAD Systems in the Building, Construction, Engineering, and Manufacturing industry for over 25 years. As a result, he has extensive expertise in modeling and detailing solutions. After graduating with a BE from the University of Canterbury in 1987, Matthew got married and moved to Auckland looking for work. First up was Wormald Fire Systems learning about passive fire protection and sheet metal manufacturing. An opportunity came up to work as a project engineer at the Chelsea refinery where he worked with both really old (steam engine!) and modern process equipment. Another opportunity came up to work as a design engineer for a small private company in Auckland on fuel dispensing systems for CNG, LPG, petrol etc. This was his first major exposure to 3D CAD, managing technical staff and projects. In the late 1990’s Matthew started with CADPRO Systems selling and supporting Mechanical Desktop 2.0! The family farm called so he left to share-milk for 6 years returning in 2011. Based in Hamilton, his role is predominantly selling to manufacturing clients. Like other CADPRO Staff, he loves trying to keep up with the ever evolving CAD world. Matthew and Sue have 3 adult children. After being shown a computer based drafting tool (AutoCAD 2.6) whilst studying Manufacturing Systems at Coventry University in the UK, Peter recognised his career path was about to change completely. He gained experience in a few local manufacturing companies before moving into a role involving design and development of engineering systems for a wide variety of customers. During this role he established a team of support engineers tasked with providing specialist technical resources to the Autodesk reseller network throughout the UK. The pressures of a five hour commute around London and the draw of a young family finally took its toll, so Peter set up his own engineering design consultancy. Some years later, whilst working on the design of a 78m Superyacht in Portsmouth, he was “adopted” by a group of Kiwi designers who persuaded him to try working in New Zealand. CADPRO Systems offered him a position in Auckland but later changed the location to Christchurch, and 13 years on, he’s made Canterbury his home. With over 25 years involvement with Autodesk products, Shane has built strong business relationships with many of New Zealand’s top design consultants and witnessed the evolution of both design products and users. Choosing the right solution(s) from such a wide range of Autodesk solutions can be a challenge. Shane uses his experience to define, educate and deliver a modern solution for the desired outcome. Gary started his Building & Construction career at the tender age of 14 working for a local “Contractor” and his sons during the summer. Pounding nails for money almost seemed criminal for a teenage boy, and that’s how it began. Directly after Uni he jumped onto the drawing board creating shop drawings for the structural steel industry. A couple of years later he picked up AutoCAD (DOS), increased his coffee habit during the Regen process, dabbled with a bit of LISP programming, and launched into the Design of material handling systems. It was there that he started using 3D modelling systems for the design, detail, and fabrication of structures. Until coming to CADPRO just recently, he spent the last 20+ years’ operating, training, and consulting on the use of 3D modelling systems for the integration of data transfer into the design and construction process. He’s been lucky enough to gather knowledge from across North America, Central America, the UK, Europe, S.E. Asia, and Australasia. Now settled in NZ with his lovely wife, he spends “me” time either pedalling 2 wheels, twisting the throttle on 2 wheels, or throwing a few weights around the gym. Danielle recently moved to New Zealand from Denver, Colorado. Born in Wellington but raised in the US, she returned to her Kiwi roots to pursue new experiences and adventure. After earning university degrees in International Affairs and French, she embarked upon a career in sales. 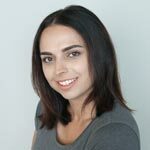 She most recently worked for Autodesk in their Denver hub office and is therefore well versed in Autodesk policies, processes, and products. She specialises in the AEC portfolio of solutions and is looking forward to working with AEC firms here in New Zealand. In her spare time Danielle enjoys traveling, dancing, trying new restaurants, and the occasional pub quiz. Sarah is our subscriptions coordinator. She started off her career path in telecommunications. Moving over to Australia to pursue her dream in managing her own sales team. This was then put on hold to welcome her first daughter in to the family which then they decided to move back home to New Zealand to be closer with friends and family. It wasn’t long before she started looking for a better and bigger career path. Sarah felt there could be more in the technology and sales industry which is when she found us here at CADPRO. She will soon do more training within the AutoDesk products and become an Autodesk junkie to provide better service to our customers. Hobbies include Dirtbikes, Off roading adventures around New Zealand and eating ! 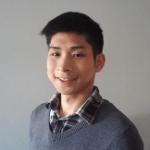 Shane joined CADPRO as an Operation Manager. Shane not only be involved in all aspects of the day to day running of the business, but to be part of the senior management team helping drive the strategic direction of the business to achieve our internal growth aspirations. Aside from work, Shane enjoy endurance sports. He do nearly as many km’s on his road bike each year than he does in the car (approx. 12-15,000 kms). 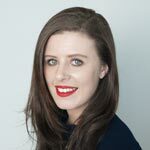 Michelle provides an invaluable contribution to the sales team with marketing activities – Managing events, Graphic Design, Project Management and Brand management. She has been working as a Freelance Graphic Designer for 16 years and previously worked as a Professional ‘Analog ‘ Photographer before retraining. When not at CADPRO Systems you’ll find her in her local community assisting a Charitable Trust working in Community Development. Ines joined CADPRO Systems as a marketer. She provides marketing supports for websites, email marketing systems, digital marketing, and other interactive marketing tools. Originally from Malaysia, Ines graduated from University of Greenwich in 2013 with a Bachelor’s Degree in Marketing. When she’s not jetting off to visit friends and family across the country, she’s most likely to enjoy outdoor activities. After many years working for Architects and in the construction sector Caroline has recently joined CADPRO in the Accounts role. 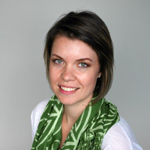 Caroline is responsible for all accounting functions within CADPRO. When away from the office Caroline enjoys yoga, cycling and tramping/walking. Also a keen gardener, traveller and cook. Julia’s family arrived from England as ‘£10 Pom’s. Ten pounds was the price for the whole family to immigrate to New Zealand. She was four years old. After a variety of jobs in horticulture, she moved from Taranaki to Auckland and has worked in a very varied Office Manager role with the same company for over 15 years. The change to CADPRO Systems has been one of excitement and movement. Her role at CADPRO is moving into a receptionist position with a variety of administration jobs. She looking forward to the challenges. Outside of work, her passion is in complementary healthcare and philosophy, which she practices and teaches in. Lunch out with good friends, beach walks and movies are also enjoyable parts of her life, as is the new addition to the household (a grey tortoiseshell cat) with a well-defined personality and a delightful purr. Jenny is working in the Admin. Chelsea works on admin tasked with general CADPRO admin and processing /dispatching client orders. Sharon joined CADPRO Systems in 2005 as our Receptionist. In 2008, she left New Zealand and ventured over to Australia to live and work. 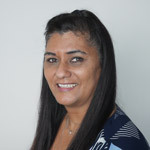 In March 2018, she returned to New Zealand and returned to her Receptionist role at CADPRO Systems. She studied Business Administration in Australia amongst other things. 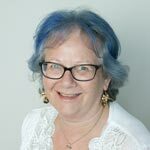 Sharon has over 20 years’ experience in Customer Service, Administration and Data Entry. She has worked in the Photocopier, Mobile Phone, Funds Management, Education, Non-For-Profit and Software / Hardware industries. She enjoys meeting new people and going the extra mile for others. She is a team player and is not afraid to take on new challenges. Sharon enjoys baking and doing things for other people. She is passionate about our youth and helping people in need. She bakes cakes for kids who are less fortunate and her payment is seeing the smiles on the kids’ faces when they see their personalised cakes that are made with love.